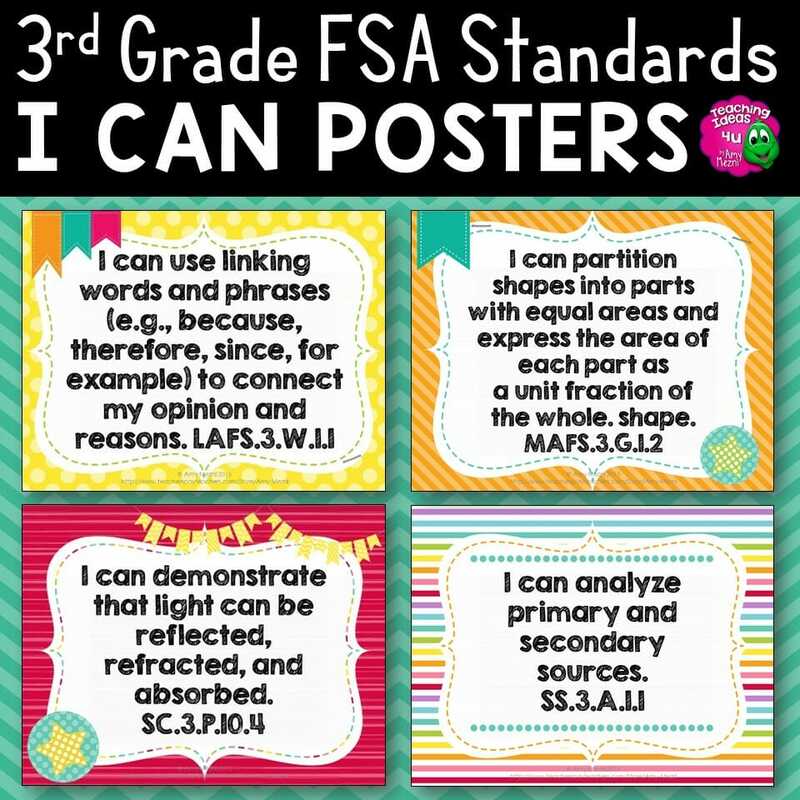 This is a complete set of 3rd grade “I Can” posters. 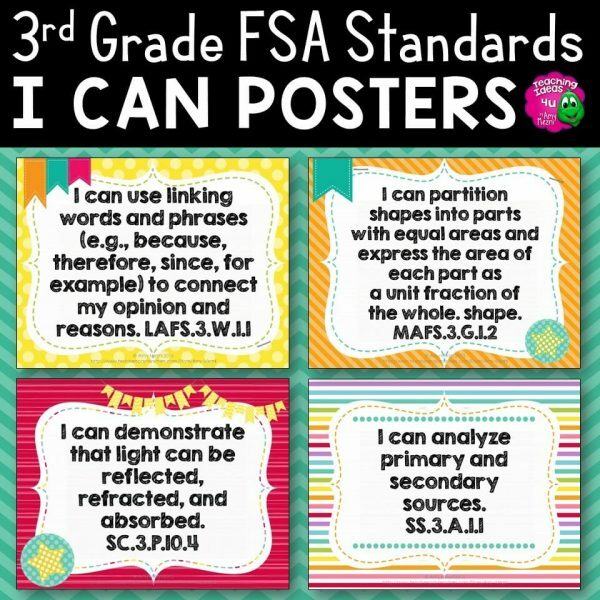 The posters match the current Florida standards. 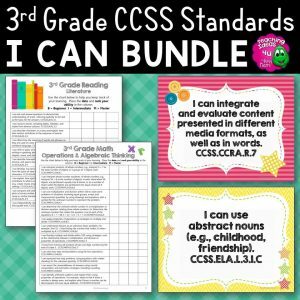 The standards are rewritten in student-friendly “I Can” statements. Use these in your classroom to “frame” the lesson. 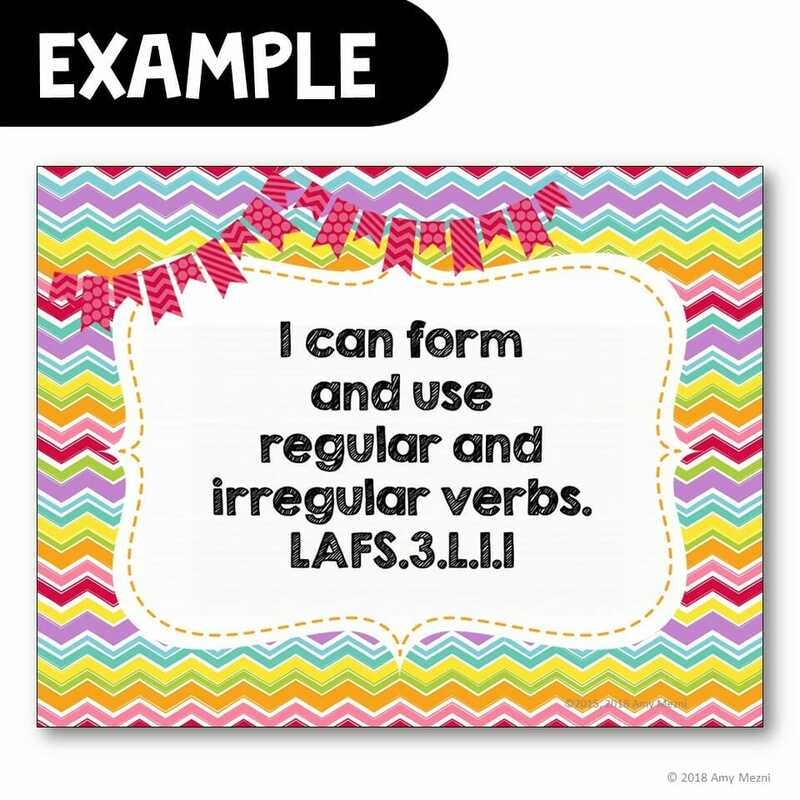 Show the student what they will be learning during the lesson. 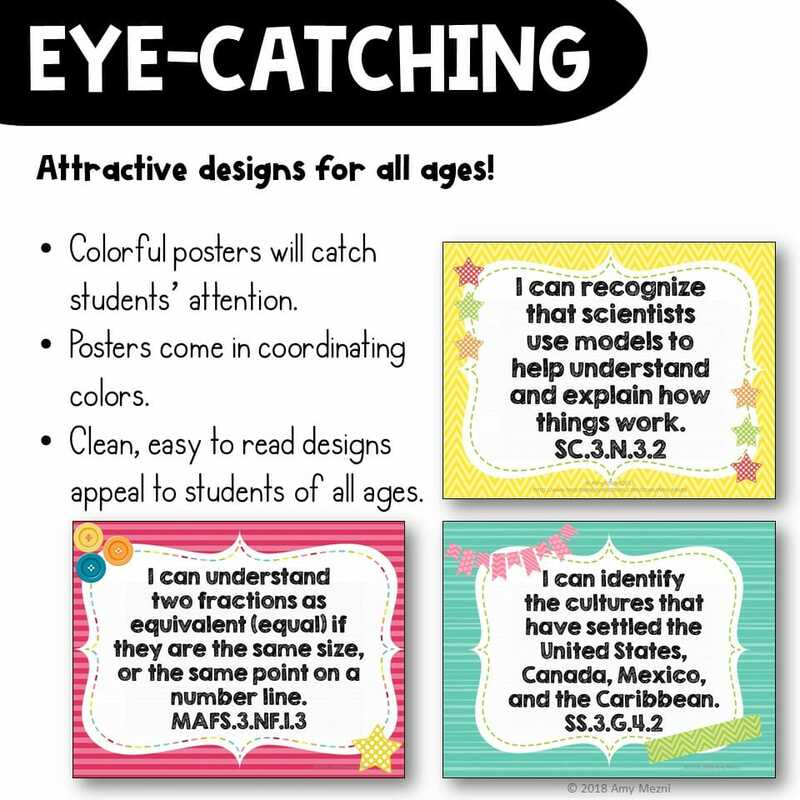 The posters are designed simply in order to appeal to older students. The statement is the focal point of each poster. I recommend printing these on cardstock and laminating them in order to extend lifespan:D Another option is to print them and save them in plastic sleeves. 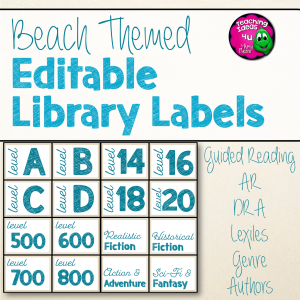 Teaching Resources and Lesson Plans created by Amy Mezni. A TeachersPayTeachers TpT Top Rated Seller, Amy has 20 years of experience which she uses to create Social Studies, Math, ELA integrated units and hands-on learning products for 3rd, 4th, 5th, 6th, 7th, 8th grade teachers & homeschoolers. Copyright © 2019 TeachingIdeas4U All Rights Reserved. 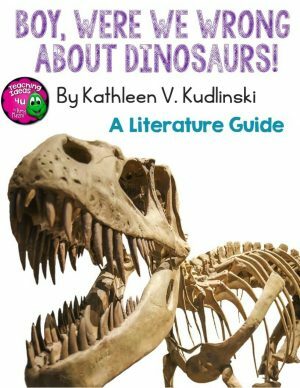 Teaching Resources and Lesson Plans by Amy Mezni. Start getting weekly information on how to go from spending time on prep to investing in the lives that really matter. 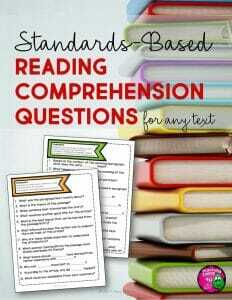 Start getting weekly information on how to go from spending time on prep to investing in the lives that matter, and get your FREE Standards-Based Reading Comprehension Resources. Start getting weekly information on how to go from spending time on prep to investing in the lives that matter, and get your FREE Colonial America Interactive Notebook! Start getting weekly information on how to go from spending time on prep to investing in the lives that matter, and get your PDF copy of 10 Changes to the FSA ELA You Need to Know About! Start getting weekly information on how to go from spending time on prep to investing in the lives that matter, and get your PDF of A Free Helpful Guide to the 3rd Grade FSA ELA Test! 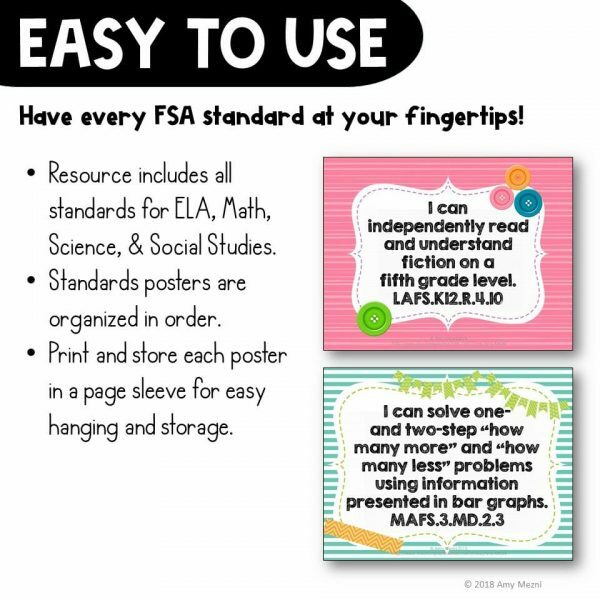 Start getting weekly information on how to go from spending time on prep to investing in the lives that matter, and get your PDF of A Free Helpful Guide to the 4th Grade FSA ELA Test! Start getting weekly information on how to go from spending time on prep to investing in the lives that matter, and get your PDF of A Free Helpful Guide to the 5th Grade FSA ELA Test! 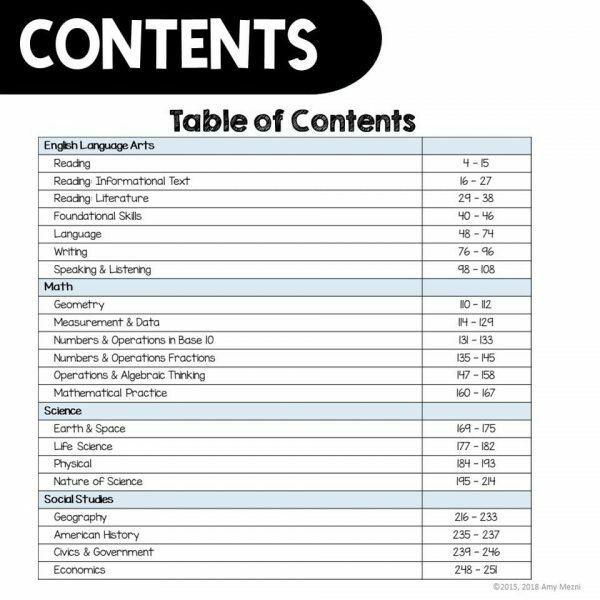 Start getting weekly information on how to go from spending time on prep to investing in the lives that matter, and get your PDF of A Free Helpful Guide to the 6th Grade FSA ELA Test! 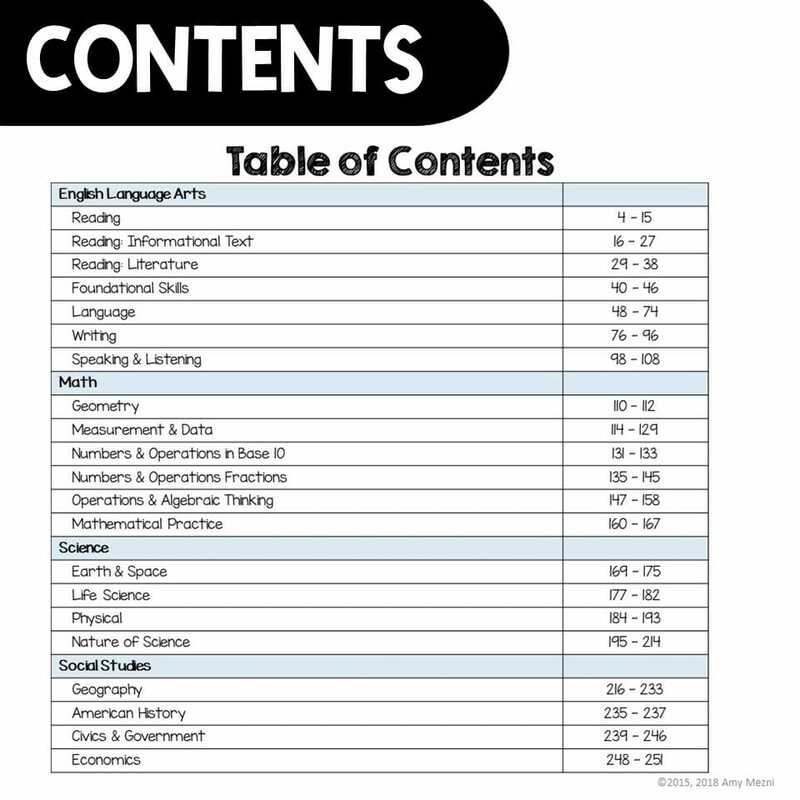 Start getting weekly information on how to go from spending time on prep to investing in the lives that matter, and get your FREE copy of my 5th Grade Curriculum Map: ELA & Social Studies Standards.